We’re all familiar with M&Ms and it’s very likely that you enjoy eating M&Ms. They’ve been around and going strong since 1941 for a reason, after all. While delicious, M&Ms have made some sketchy marketing decisions. Did you know that M&Ms were slated to be E.T.’s candy of choice? Hershey’s turned it down because they thought E.T. was too ugly. Reese’s Pieces laughed all the way to the bank on that one. Another big marketing guffaw: getting rid of the Tan (or Poo Brown) M&M. The glory days of 80s color scheme M&Ms. There was a time when M&Ms weren’t so garishly rainbow-colored, when they were a calming cornucopia of fall colors. 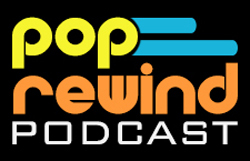 Then, in 1995, the world changed for the worst. The death knell tolls for Tan M&Ms. 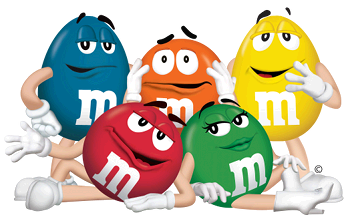 M&Ms ran a promotion where M&M connoisseurs could call in (this was before wide-spread Internetting) and vote for which color would replace the beloved Tan M&M: Blue, Purple, or Pink. Blue, of course, won, kicking Tan to the curb. I was hurt and resentful. All M&Ms are tasty, but Tan had a special place in my heart. In the 1980s, my grandmother used to give me a Dixie Cup of plain M&Ms as a treat. 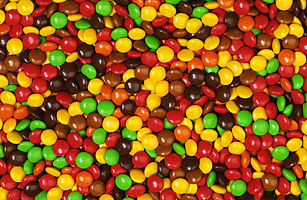 I’d eat the Green ones last (because they were closest to blue, which is my favorite color), but Tan was second last. I didn’t want to admit that a brown-ish M&M was my favorite at the time, but it really was. Tan simply tasted better and even years after the change I outright refused to eat Blue M&Ms—hell, blue was my favorite color and I still couldn’t embrace Blue M&Ms. I finally got over that part after I realized that chocolate is delicious, but I still don’t like eating Blue. M&Ms originally had no Brown spokescandy, either. To add insult to injury, M&Ms introduced their spokescandies personalities right after Blue got in—Tan didn’t get a chance to shine like his other brethren. 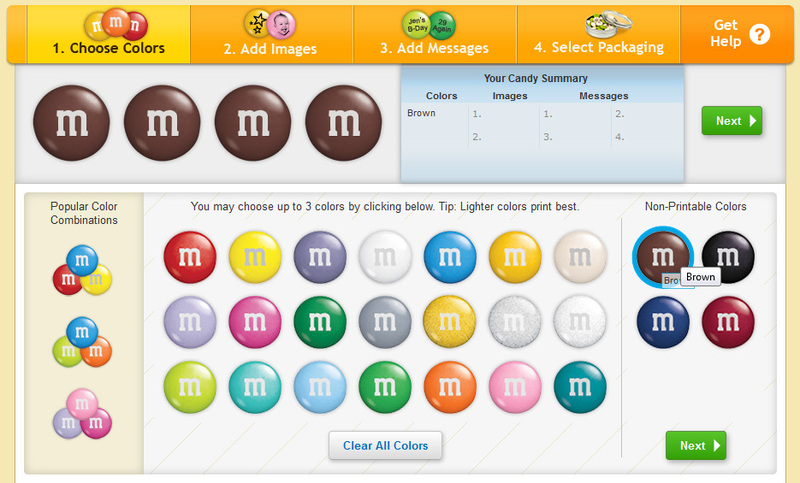 M&Ms does carry a wide range of specialty colors available to order, but Tan is still missing. Is it possible Tan could come back one day? Purple, which was one of the original colors from the 1940s, made a comeback in another vote in 2002, but it was for a limited time only. Red M&Ms were also gone for a time from 1976-1986 due to health concerns with red dye. Orange came in to replace Red, but both Red and Orange have lived in harmony for 27 years. Let’s get Tan back, even if it’s for a limited time! On another note, I also learned that from 2001-2003 Dulce de Leche M&Ms were sold in select cities in the U.S. How delicious would that have been? Why is Hershey’s concentrating on pretzel M&Ms or candy corn M&Ms when we could be eating Dulce de Leche M&Ms?! M&Ms, it’s time to stop letting us down. Do you miss Tan M&Ms? Share some of your favorite M&Ms memories with us below! They were my favorite too! And others’ as well, per my quick search! I have an unopened M & M 3-pounder, refrigerated since 1995, with tan M & Ms inside. I will be putting it up for sale soon on eBay. Part of the answer is, of course, that Hershey’s isn’t concentrating on any kind of M&Ms. M&Ms are manufactured by the Mars company, not Hershey’s. But like you, I would love for the Dulces de Leche to make a comeback! Tan M&M’s were the best! I have a tupperware container containing the tan M&Ms from the last bag of M&Ms-with-tan-ones I ever had (from some time in the early 1990s). I still open it occasionally to look at these ancient marvels. They are no longer edible, and I would want to eat these precious morsels even if they were. Fun fact: After a long time, the waxy coating on the outside of the candy shell can migrate downward and form a little puddle of wax beneath the M&M, giving it a kind of safekeeping cradle. This is probably my favourite comment, haha! I only wish I had the forethought to save the tan M&Ms from the last bag I had. I meant to write “I WOULDN’T want to eat these little precious morsels even if they were.” They’re the last of the tan M&Ms, to be cherished and preserved, not devoured.